All goods, whether paid for in full, or with a deposit and 12 equal monthly payment under our Scissorhands Easy Payment Plan, are dispatched next day by Royal Mail 1st Class Recorded Delivery once payment has been received. If you do not have a Paypal Account you can still pay with Credit and Debit card via Paypal, by following the purchase process on our site. 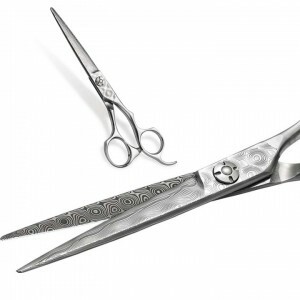 Website prices may not reflect prices charged by our International Distributors, who may be liable to extra duty and fees on importing our scissors. Once order and price has been agreed any further changes may be chargeable. In the event that a product is defective the consumer should return the product directly to Scissorhands UK Ltd or the retailer for assessment. If found to be defective under the terms of the warranty the product should be returned to Scissorhands UK Ltd who will replace the item only under the terms of the Scissorhands UK Ltd warranty. Orders will normally be dispatched the next working day so please call us directly if you wish to cancel your order within the first 24 hours. If you change your mind after they have been dispatched and received, or you are unhappy with them in any way, then please return them to us - contacting us first so we know to expect them. Upon receiving them, a full refund will be given. With our Scissorhands No Quibble Money Back PLUS Guarantee you have 14 days to return them, in the condition they were received, and we will refund your full purchase price, PLUS £10 for your inconvenience. i) The Scissorhands No Quibble Money Back PLUS Guarantee is available on all scissors priced at £100 or more, before postage. 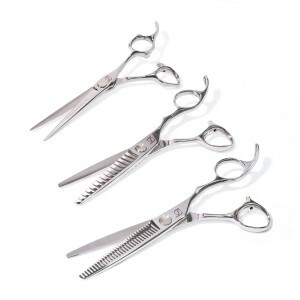 For the small selection of scissors in our range under £100 we will of course provide a full refund of your scissor purchase if you are not in any way happy and would like to return them, PLUS £5 to cover return P & P – but not the £10. ii) The Scissorhands No Quibble Money Back PLUS Guarantee can only be claimed on a maximum of two occasions within a calendar year and Scissorhands UK Ltd reserve the right not to fulfil ANY Order in the first instance – refunding any monies paid of course. iii) Please do contact us before returning anything to Scissorhands UK Ltd so we can advise on the best way to send it - and to be aware that it’s on its way. iv) Unfortunately any scissor that has been engraved cannot be returned under the Scissorhands No Quibble Money Back PLUS Guarantee, unless it is faulty, or a mistake has been made in the engraving. All Scissorhands UK Ltd scissors are covered by a full 12 month warranty accepting of normal every day use, but not accidental damage or dropping. Any dropped or damaged scissor can however almost always be repaired and returned to 'as new' condition for a very reasonable fee. 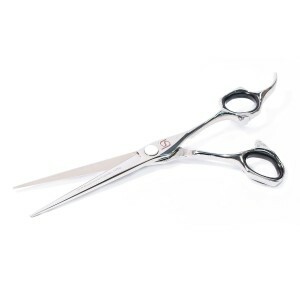 Please contact us directly if you have any concerns about the quality or performance of your Scissorhands UK Ltd scissors because it is very important to us that you are entirely happy with your purchase. The retailer should not replace the product until they have confirmation from Scissorhands UK Ltd that the product is faulty under the terms of the warranty. Retailers operating their own returns policy and replacing the item without this confirmation, run the risk of having the item repaired and returned to them by Scissorhands UK Ltd, or rejected under the terms of the warranty. Therefore we ask that you comply with the returns policy of Scissorhands UK Ltd to avoid this risk. If the retailer has had to replace a product under the terms of the warranty then Scissorhands UK Ltd will replace this branded item only at the next order. Scissorhands UK Ltd does not offer a monetary refund, but operates a like-for-like replacement policy only at the time of the next order. Scissorhands UK Ltd only replace the exact amount of items that the retailer can actually produce and demonstrate as faulty under the terms of the Scissorhands UK Ltd warranty. Scissorhands UK Ltd does not operate a sale-or-return policy. A. ScissorHands UK Ltd warrants the scissor to be free from defects in material and workmanship for on all working parts of the scissor for 12 months from the date of purchase. This excludes damage through dropping or salon wear and tear. Returned scissors will be assessed by Scissorhands UK Ltd before any replacement is sent to the customer. B. Abuse or accidental damage is NOT covered under the warranty. D. Any worn or damaged parts will automatically be replaced at the time of service. Enclose a cheque for £30 and send via recorded delivery (covers insurance, processing and shipping ) and enclose your details of return address. 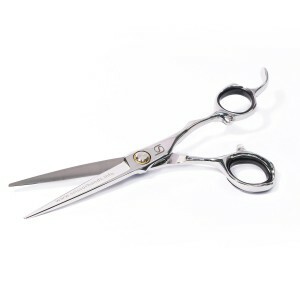 Scissors which have been dropped, abused or serviced by any other scissor company are not covered under our warranty. ScissorHands UK Ltd or your local agent will not be liable in tort or otherwise for incidental or consequential damage arising from the use of this scissor. Q. 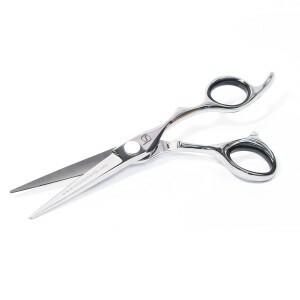 How often does a scissor need servicing? A. 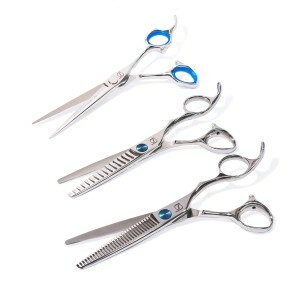 At least every 12 months is recommended to maintain the scissors best performance and long life. Q. What is the best way to maintain my scissors? A. Clean with a dry cloth and oil lightly on the inner blades. Q. How do I avoid damage to my scissors? A. Always dry them and put them in a soft case or pouch. Do not leave them loosely in a trolley or on a workstation top. Q. There is a difference in sharpeners? A. There is no licensing governing the sharpening of scissors. Therefore many are poorly trained and incapable of correctly servicing your scissors. Using the correct service centre is the only way to protect yourself and the life of your scissor.